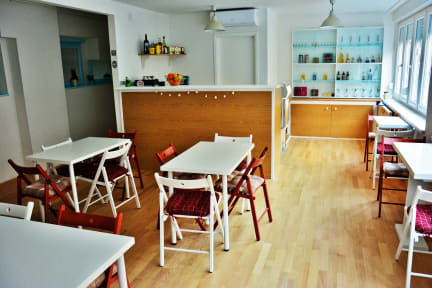 The Dots Hostel is a new hostel in the center of Zagreb. Assisting and kind staff will welcome you on the reception and provide you with all the necessary tourist information, they will be at your service 24 hours a day. Free WiFi is accessible in the whole property. 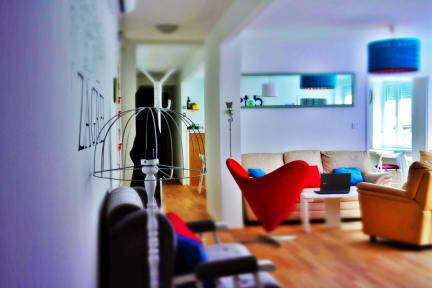 As our guest you can enjoy common rooms – bar, dining room, friendly saloon and Internet corner. In the bar we are serving drinks, hot and cold beverages, sandwiches and high quality continental breakfast. Only 300 meters away from the Main Square and 600 meters away from the Main Train Station. City museums, galleries and monuments are reachable in a short walking distance. We offer you spacious rooms and dorms with private and shared bathroom facilities. Our rooms have safety lockers, sitting area and reading-lights by each bed. The location is good to move through Zagreb's old city, you can also find some nice place to eat or have a drink at 10 minutes walk from the hostel. The hostel itself has a great ambient, the staff is funny and helpful. The rooms and the services are essential, but great for a short stay. Overall a good hostel to stay.